The population of Greece are in revolt again the IMF /ECB austerity plan that is being imposed on them. WSM member Con who is a migrant to Ireland from Greece tells us what it is like to follow the struggle by home from Ireland and especially the extraordinary events yesterday when many police, who for months have been attacking demonstrators, instead joined the demonstrations. Presumably they will soon be bought off and return to business as usual but all the same perhaps such an usual event is close to a miracle. 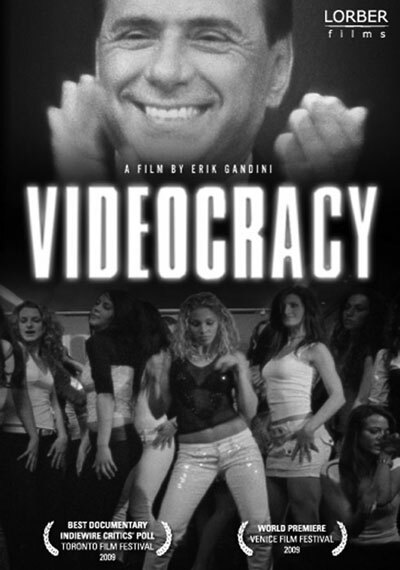 Erik Gandini’s “Videocracy” is an intriguing and distressing documentary film that explores Silvio Berlusconi’s media empire, and the deep impact that it has had on Italian society and culture. Gandini’s investigative endeavour was released in 2009, but the trailers were blocked on the six main Italian television channels, which are controlled by Berlusconi. It was a tacit form of censorship aimed at obstructing Videocracy’s popularity, the alleged reason for doing so being that it was offensive to Berlusconi’s reputation. This backfired completely as the block created mass-hype about the film, and when it was screened at the Venice Film Festival it was received by a huge audience and accolades. Former Taoiseach Garret Fitzgerald's death was announced this morning. As is usual in such circumstances we are being subject to a load of old guff, very rarely in such instances are we treated to an honest assessment of a mans life instead we are expected to believe in the individauls perfection. The great phrases you will hear for the next week will be that he was "a patriot who always put the national interest first", "an honest man, a fair man", "he did the state some service" etc. At least the last is true, Garret Fitzgerald was a thouroughly pro-state, pro-capitalist, pro-EU, pro-imperialist politician. He never wavered in his support for the capitalist order. The state of Wisconsin has become the site of a very high profile showdown; the conservative governor there has been trying to introduce harsh new laws which would seriously harm public sector unions, laws which amount to an outright attack on workers' rights. Under these proposals state employees would lose the right to bargain collectively, union dues would become voluntary and wouldn't be deducted from pay cheques, unions would face a recertification vote every yea,r with the union needing to win the votes of a majority of employees and not just of those voting.